Road traffic, congestion, and accidents are a very serious concern in Indonesia. This is why the National Police of Indonesia is tasked with assessing the road conditions, in order to provide a safer commute to drivers throughout the country. It was ratified in 2009 that Road Traffic and Road Transport, Corps Traffic Police would undertake the responsibility of monitoring the Control Centre Information and Communication System, Traffic and Transportation nationally. The Traffic Police acts as a police service with the duty of directing, controlling, and to take action in traffic situations in the streets, roads, and highway. Priority programs for the National Traffic Police include: Improving road safety action partnership among stakeholders, Improving record keeping system of traffic accidents, Improving quality of traffic accident investigation, Studying accident-prone locations ("blackspots"), Law enforcement in terms of control of heavy vehicles, Improving system for issuing drivers&apos; licenses, Law enforcement for speed control using electronic devices, Law enforcement to control drunk driving at various locations, Traffic education from an early age, and Improving identification of vehicles in accordance with the safety standards. 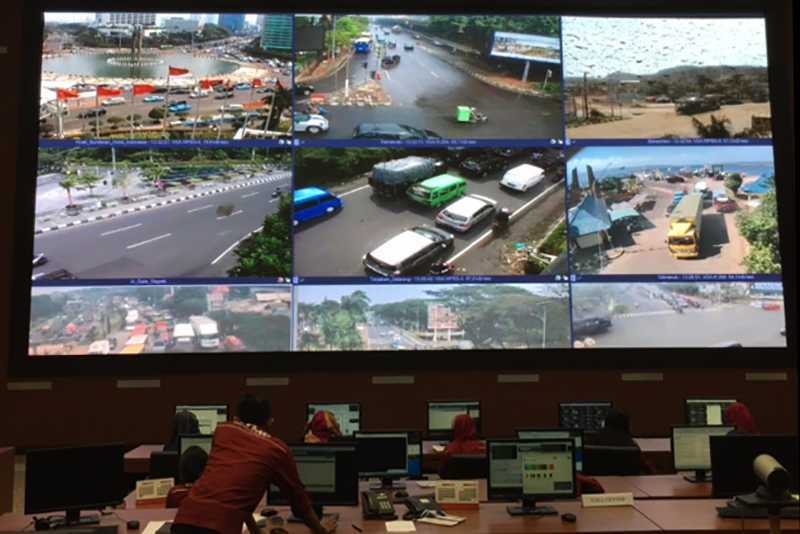 OpenGov recently caught up with the Traffic Police Commissioner, National Police, Indonesia, to discuss how he is using advanced technology to help law enforcement on the road and monitor traffic activity. On-the-ground traffic law enforcement is an area where technology comes into play for the National Police. The police are challenged to create more efficient methods for law enforcement on the road. This will help improve the time it takes for them to identify and report drivers, thus allowing for smoother operations. To improve law enforcement carried out by traffic police, the National Police are piloting an e-enforcement system to help their efforts in catching misbehavior on the road. Electronic or automated traffic enforcement (e-enforcement) techniques help to promote road safety and reduce traffic accidents. The Police Commissioner told us more about how they are looking into this solution. “For law enforcement, we are piloting a mobile app for e-enforcement, this allows officers to report any traffic misconduct by a driver on the road through the app, which automatically sends a ticket to the driver of the vehicle,” said the Traffic Police Commissioner. The pilot has run for 6 months and is to be reevaluated by the department. It is run and operated completely by the team at the National Police. The National Traffic Police currently have 40 tenders to improve infrastructure including CCTV, Data Centres, Building Maintenance, and Road Maintenance- working with Public Works. During our visit with the Police Commissioner, OpenGov got an exclusive look at their traffic-monitoring CCTV cameras at the National Traffic Management Centre. The command centre is 4 years old and features several large screens featuring scenes throughout Jakarta, while . The CCTV cameras across the roads have technology to count the number of vehicles on roads. This helps assess the conditions of traffic on the toll road. It has been reported that 4,000 CCTVs, all equipped with face detection technology, are being prepared for installation throughout Jakarta by June 2016. This will help the National Police in their efforts to curb traffic congestion and monitor activity on the roads. Citizens may follow the National Traffic Management Centre twitter page for real-time updates on road conditions and reminders of safe driving practices.